SportSquare on Carnival Horizon is big fun. At SkyRide, strap in and zip safely around suspended two-lane bike course high above the deck. At The Clubhouse, try indoor activities like mini-bowling and pool... while outdoor soccer, volleyball and ping-pong are always just steps away. Try for a hole-in-one at SkyGreens, sink threes on the basketball court, and challenge yourself to amazing new heights at SkyCourse, our ropes course. 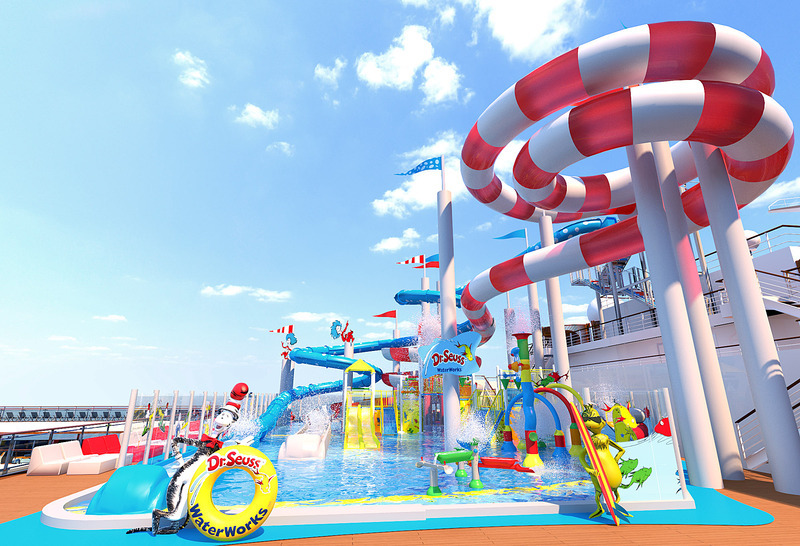 Dr. Seuss WaterWorks onboard waterpark is where you’ll find your favorite Dr. Seuss characters making a splash. The centerpiece is the two big side-by-side racing slides, splashy water-spray toys and a giant tipping top-hat. Serenity Adult Only Retreat is a place to relax in complete peace, as smooth as a sea breeze through a palm tree. Serenity’s the place to do the stuff that’s so hard to do in everyday life — reconnect with your partner, finish that book… or do absolutely, blissfully, nothing at all. Cloud 9 Spa aboard Carnival Horizon is an oasis built for relaxation, from a full complement of traditional spa services like massages, facials, body wraps to the carefully-designed climates of Cloud 9’s thermal suites. Carnival Horizon Lip Sync Battle: a stage version of the hit Spike TV series features a series of competitions to see who can truly channel their inner superstar, and make the crowd go wild! When was the last time you got up and grooved… at the theater? Playlist Productions takes songs you know and presents them like never before. Multi-talented performers absolutely bring down the house with song, dance… and superstar attitude. Each show has a different theme! 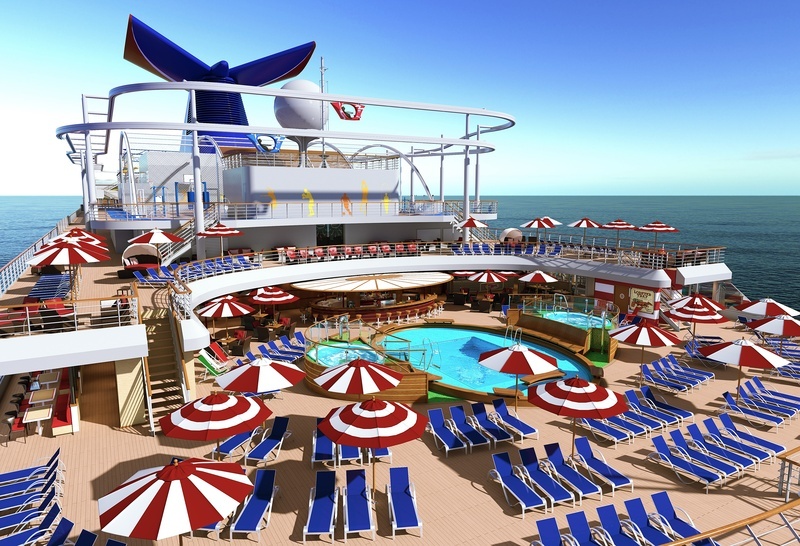 Carnival Horizon features two movie theaters at the Carnival Multiplex. An IMAX Theatre in all its huge-screen, huge-fun glory and a Thrill Theater where you’re invited to the 3D experience where jump-off-the-screen visuals are only the beginning of a, shall we say, truly moving experience.